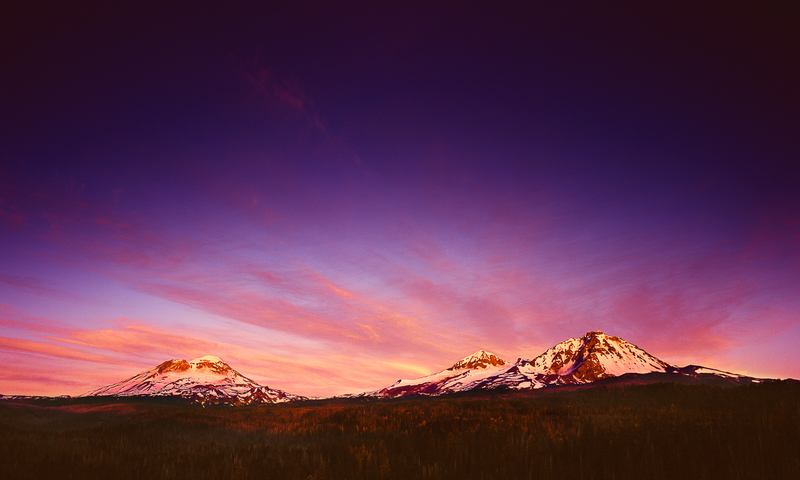 Oregon’s Three Sisters were referred to by settlers as Faith, Hope and Charity( North Sister, Middle Sister, and South Sister). The Three Sisters anchor the Three Sisters Wilderness Area, Oregon’s second largest. The Sisters dominate Central Oregon’s skyline. At over 10,000 feet tall, they tower nearly 7,000 feet above the city of Bend. Broken Top Mountain is also in the Three Sisters Wilderness Area but the Three Sisters are the headliners of Oregon’s most visited Wilderness Area. 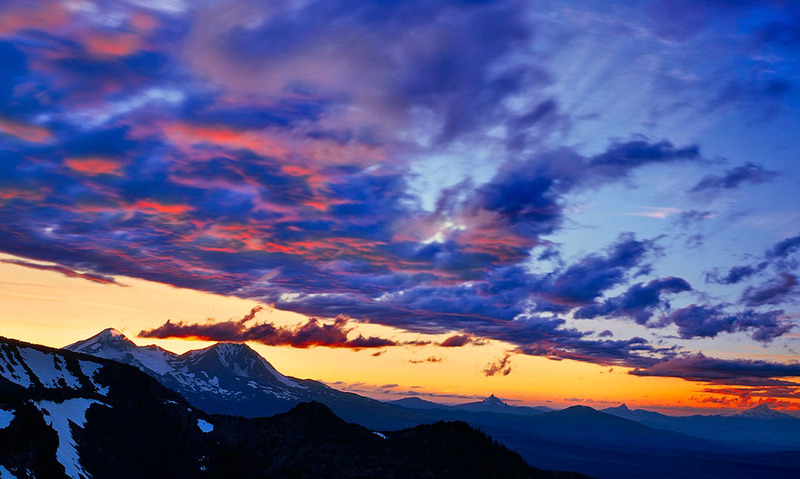 The view you see in this fine art photograph of Oregon’s Three Sisters, is looking west. The sisters look quite different if you are on the west side of the cascades, looking east. 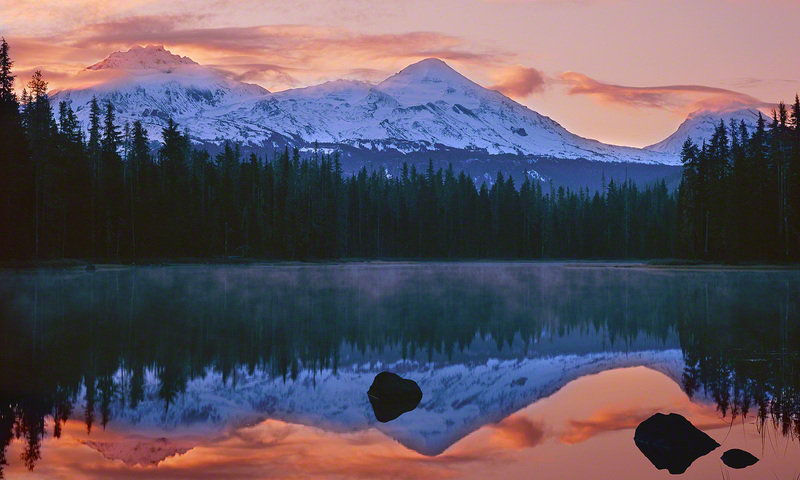 This image to the left features the Three Sisters Mountains reflected in the Waters of Oregon’s Scott Lake. 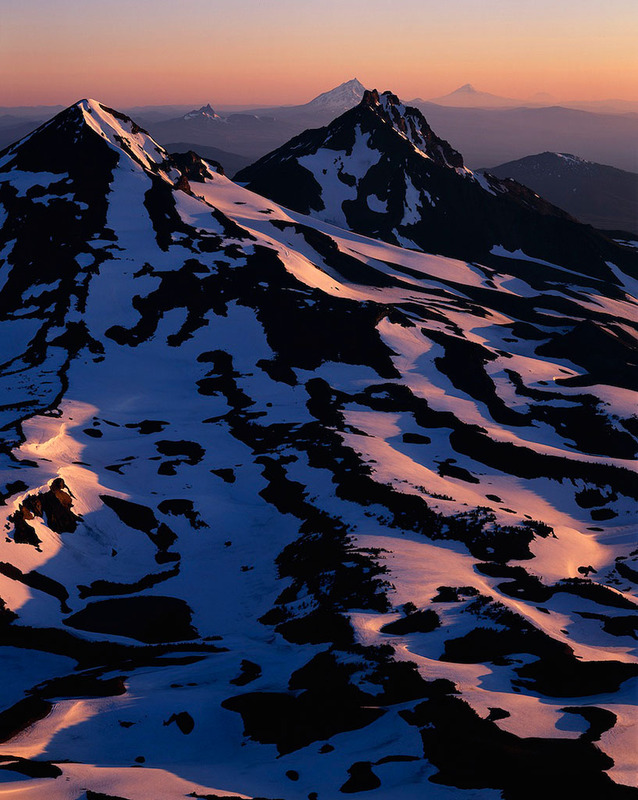 In this image, North Sister is on the left and South Sister is on the right, This is opposite of the arrangement seen in the Three Sisters at the top of this page. 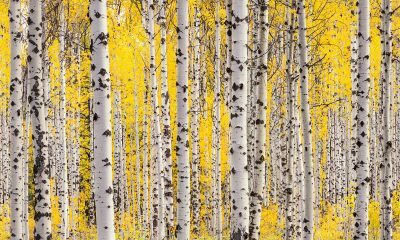 With nearly 260 miles of hiking trails in the Three Sisters Wilderness Area, it is a wonderland for backpackers and day-hikers. Not surprisingly, it is the most visited in Oregon. The Pacific Crest Trail courses through the west side of the wilderness area. The Three Sisters area includes the most concentrated alpine territory in Oregon. 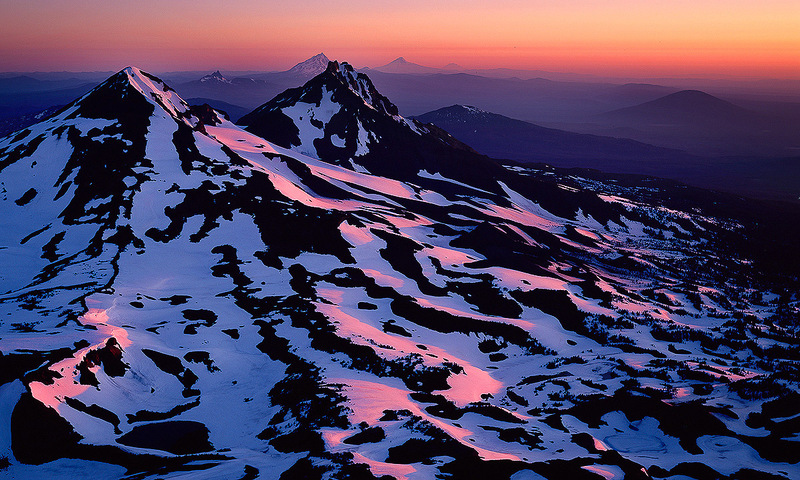 Oregon’s Three Sisters, the Fine Art Photograph. I’ve lived in Central Oregon for nearly 20 years and I’ve cherished the Three Sisters every day. As they are west of the Central Oregon area, they are usually visible, even when conditions are rainy on the west side of the pacific crest. 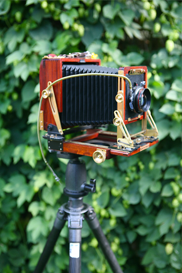 Despite being visually stunning, the Sisters are a difficult photographic subject. 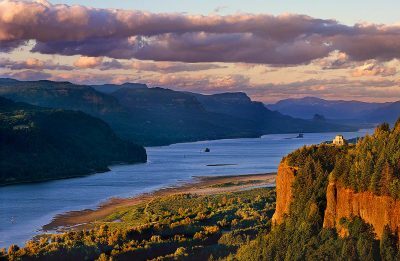 Most images of Oregon’s Three Sisters are a thin panoramic strip, with very little depth. I’ve stalked the Three Sisters for years, In hopes of capturing a fine art print with excellent clouds that would stretch the image upward. In 2015, I captured the fine art print of the Sisters I was after. With the first light of morning igniting the summits of the Sisters and striated clouds reaching into the heavens, this image makes for a stunning fine art print of the Three Sisters fine art print!